I often reflect back on my experience at First State Vein and Laser Center, thinking about what matters most to my patients. Obviously, patients that have “big” unsightly, bulging, winding painful veins are concerned about them. But I realize that it’s the “small” things that really matter to the majority of the patients. “Small” things like reducing downtime, lessening discomfort and the possibility of scarring – matter. To most, it is also the small veins that frequently matter. Even after ablation (closure) of an incompetent great saphenous vein, the source of their initial complaint, I am often asked what can be done about the remaining bulging vein, or about the small stubborn blue-purple spider veins. Obviously, we are concerned about life threatening D.V.T. (deep vein thrombosis) or leg ulcers. But for most patients, it is irrelevant; they don’t have them. Most are bothered by non-critical vein problems. As ‘vein doctors’ we should address the entire spectrum of vein problems, should not ignore patient’s strong wishes and treat what matters to them – the big and the small veins. Uni-directional valves are essential to insure the flow of blood from superficial to deep veins and from the legs to the heart. These valves are present in ALL veins, the tiniest and the largest alike. When these valves leak or become incompetent, the blood flows backwards, pools within the veins and weakens their walls. This condition, called venous insufficiency, may occur in veins of all sizes. In large ‘trunks’ like the great saphenous vein, this will result in what is commonly known as varicose veins, while in smaller (2-3 mm) veins under the skin (reticular veins) it will produce spider veins. As mentioned above, leaky valves in reticular veins result in spider veins. These can be isolated phenomena. But spider veins can also be a manifestation of a deeper, larger vein’s insufficiency that over the years has gradually affected more superficial veins and eventually, reaches the reticular veins. A patient who comes in for the treatment of spider veins, should be first assessed to determine whether these are an isolated issue, or part of a broader and deeper, problem. Sclerotherapy – closure of the veins by injection of a chemical solution called sclerosant, ideal for spider veins 0.8 – 1.2mm in width. Ohmic Thermolysis – works by a heat generated by radiofrequency device called “Vein Gogh”, best for spider veins smaller than 0.8mm in width. L.H.E. Therapy – combined Light and Heat Energy Technology – effective for very tiny veins. 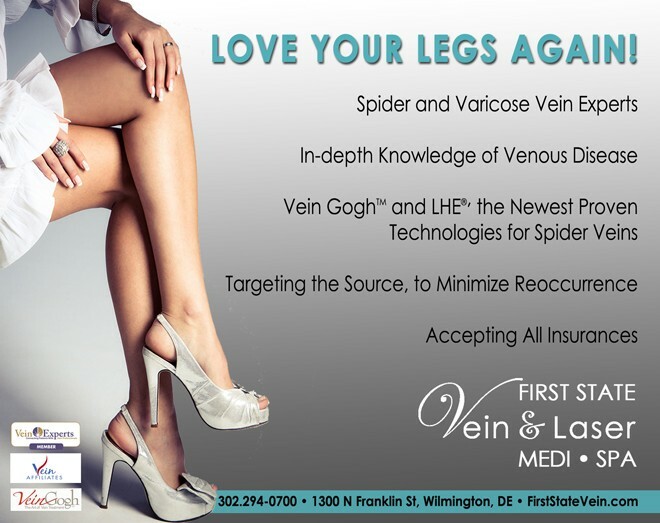 When spider veins are a manifestation of an underlying large veins venous insufficiency, which can happen even without the presence of large varicose veins, the underlying problem should be addressed first. Foam Sclerotherapy – the injection of a sclerosant mixed with CO2 to close reticular veins. Phlebectomy – a delicate surgical removal of small or large bulging veins. Ultrasound guided sclerotherapy – a closure by sclerosant of deep incompetent perforating veins, under ultrasound guidance. Endo venous laser ablation – laser closure of large incompetent veins. At First State Vein and Laser Center we offer all these modalities, alone or in combination, in order to reach the most desirable long-lasting results. 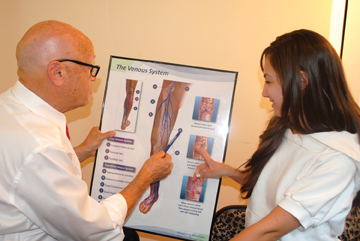 Our success is measured by the ability to understand, diagnose and explain to our patients what their particular underlying venous problems are and how we plan to solve them. We are committed to address the entire spectrum of their problems, the small, as well as the big issues. 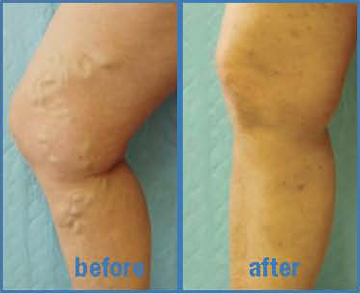 I vacillated for years with the idea of having a procedure done, to eliminate my spider and varicose veins. I had been to a few dermatologists but, just never felt comfortable enough to move forward. Then my sister-in-law told me about First State Vein and Laser MediSpa. She had been to Dr. Shapira and her great results and told me to call. I did just that; and from my very first appointment, I knew Dr. Shapira could help me. He took the time to determine the cause of my issues and then to explain exactly what needed to be done. He assured me he could help my legs look and feel better and he did! I cannot say enough good things about Dr. Shapira and his staff; they are incredibly knowledgeable and friendly. This was the first summer in years that I was actually comfortable wearing shorts and dresses. Nadiv Shapira MD, FACS, FACPh, opened First State Vein and Laser Center in January 2011. 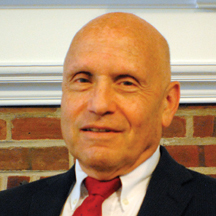 One year later he left his 20-year old practice as a Cardio-thoracic surgeon at Christiana Care Health System in Wilmington, Delaware to devote his entire career to the practice of Phlebology. He offers in-depth evaluations and a wide range of minimally and non-invasive interventions. In January 2013, together with his wife Lynn and a devoted and highly skilled team, he was one of the first in the area to add the “Medispa” concept to his practice. ← Previous Story Obstructive Sleep Apnea In Children. Let’s do something about it before it is too late!